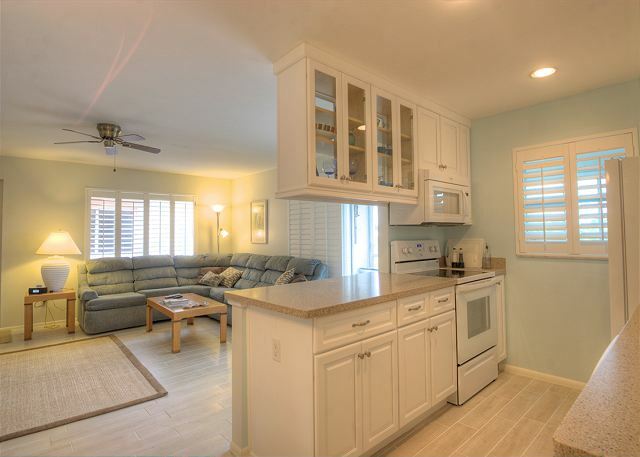 Spanish Cay D5: Updated Condo on 3rd Floor w/ Beautiful Sanibel River Views! For all other arrival and departure days, or for reservations less than 14 days, please call our reservation specialist at (239) 579-0348 or submit your inquiry below the calendar. 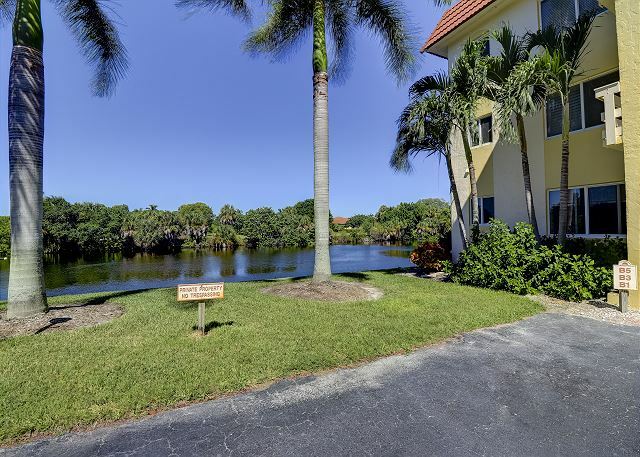 Spanish Cay D5 is one of Sanibel's best kept island secrets that offers incredible views of the Sanibel River and the Sanibel Golf Club from the screened lanai. 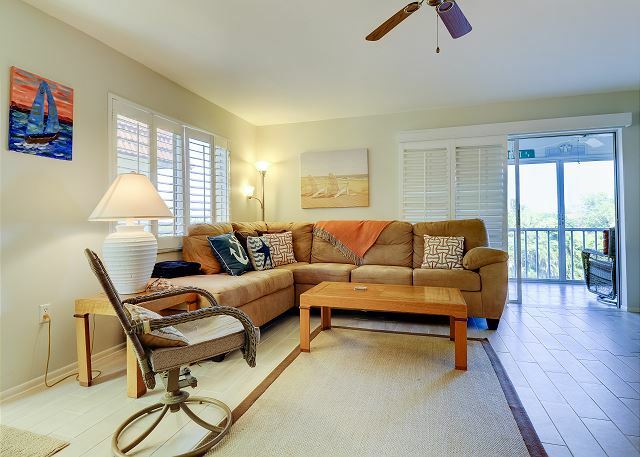 This bright and beautiful 2 bedroom, 2 bath condo is situated on the 3rd (top level) floor with expansive views and a quiet, secluded setting. 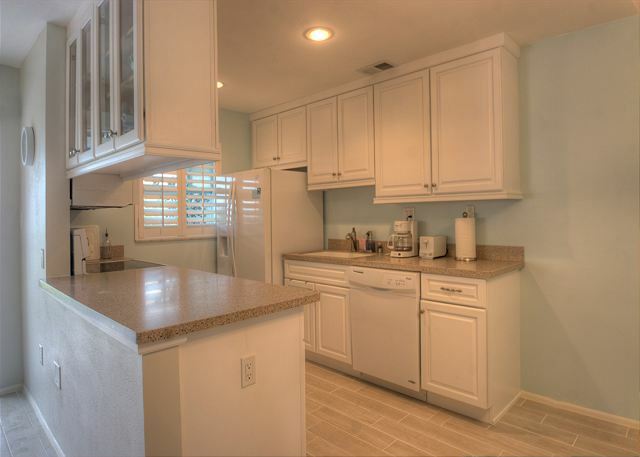 The condo features an open floor plan with an updated kitchen and all the wildlife watching you could hope for right in your new backyard! 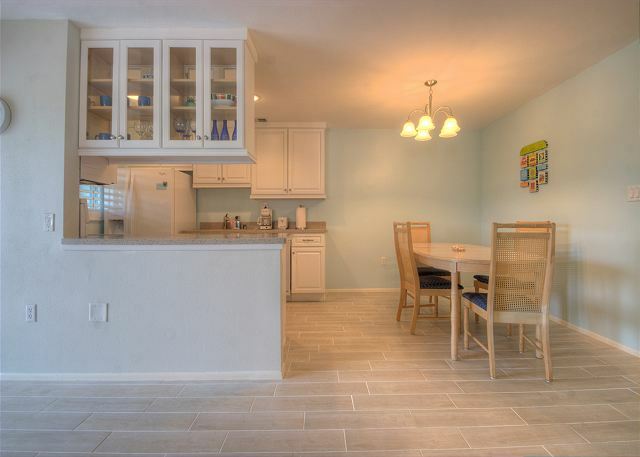 Spanish Cay D5 is the absolute perfect place to enjoy an affordable and unforgettable vacation with quick beach access located just across the street! 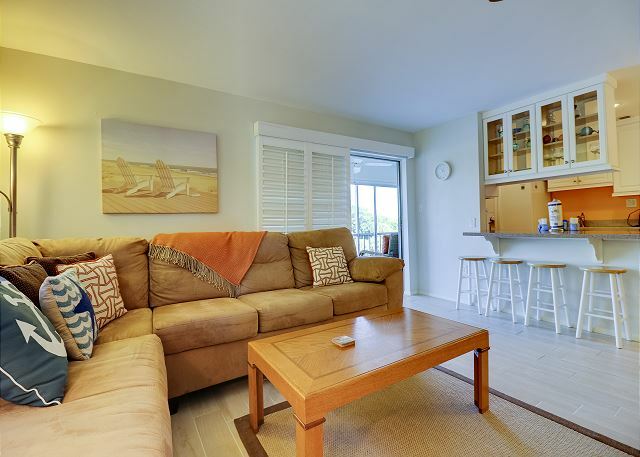 Condo amenities include: 2 bedrooms/2 bathrooms -- 1 Queen bed, 2 twin beds & a sleeper sofa (sleeps 6), 3 flat screen TV's, DVD player, free cable & WIFI, heated shared community pool, in suite washer & dryer, fully equipped kitchen, No elevator access available. No Pets allowed. Bed linens and Bath towels included. This unit comes stocked with beach chairs, beach towels and an umbrella. 14 night minimum rental period is required. This unit is non-smoking with a maximum occupancy of 6 people. 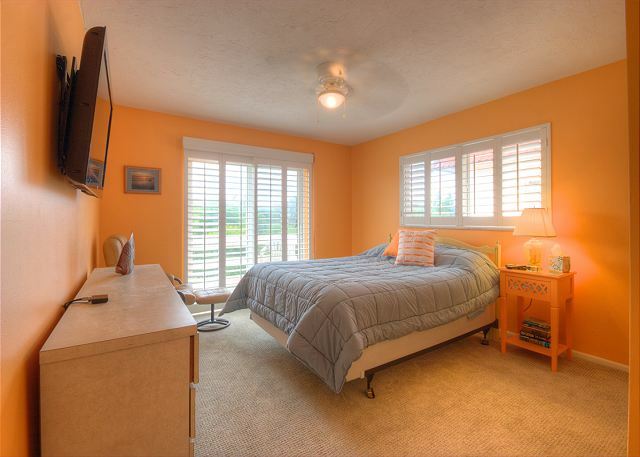 Guest Reviews of spanish cay d5: updated condo on 3rd floor w/ beautiful sanibel river views! We found the condo to be well equipped. 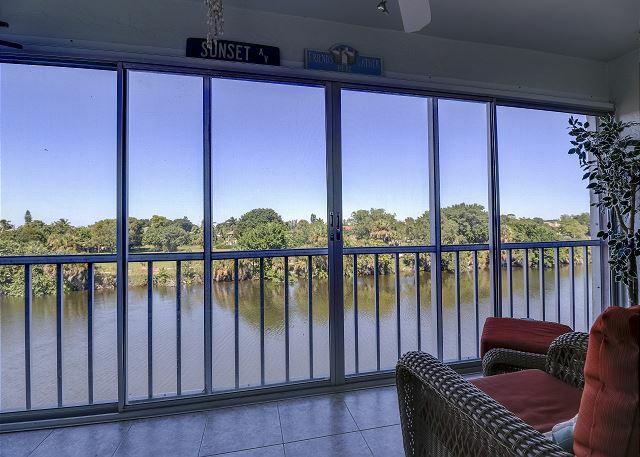 The best part is the screened in porch looking out onto the water watching the birds, fish and alligators. Very quiet and peaceful. Overall the condo was nice. Bedroom carpet needs to be replaced or cleaned. Loved having washer and dryer in the unit. Thank you so much for your review. We appreciate all of your feedback about Spanish Cay D5! We do enjoy that Spanish Cay is such a peaceful place to spend your vacation. We hope we can help you plan another trip to Sanibel. We enjoyed the condo very much. It was clean, airy and well stocked. The best part was enjoying the view from the back patio. It was close to the pool and there was always plenty of parking. The walk to the beach was doable but be prepared to walk a little bit. I’d highly recommend to friends. Thank you so much! It was a pleasure having you! We hope to see you again on Sanibel soon! We enjoyed: the location of the unit within the complex (which itself was clean and well-cared for); the owner-neighbors were so very kind and friendly; a clean pool with average water temps of 85 - 87 degrees; the kitchen was well-appointed; many many towels were provided, as well as beach towels. The bike trail was adjacent to the complex, which we appreciated, since we brought our own bikes and rode them a lot. This complex is a short 5-minute walk to a very pretty, and relatively quiet, stretch of the beach. I gave the unit a "4" for cleanliness (rather than a "5") because the laundry room, which doubled as a store room, could have used a good sorting out and cleaning). All other areas were spotless. Hi June, thank you so much for your feedback. We will definitely pass that information along. We are so happy you enjoyed the rest of your vacation with us. 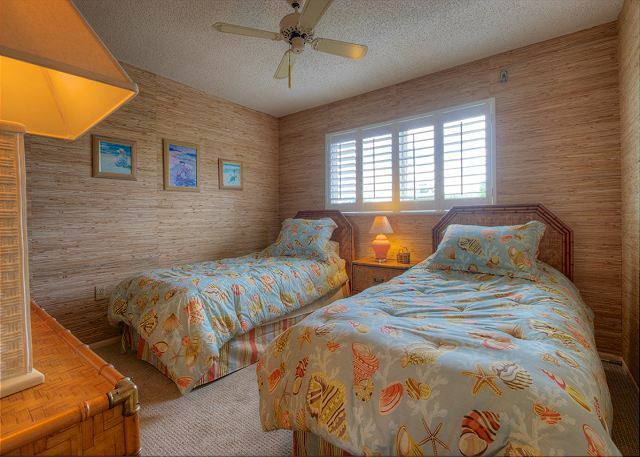 We hope you will consider staying with us when visiting Sanibel again! Loved the location...close to pool, ocean and scenic river. Very spacious and clean and everything worked well. Would love to go back. We are very pleased to have met your expectations and we look forward in seeing you again. We really enjoyed this condo and everything was in good condition. The view over the canal was great Gators, Turtles and lots of birds. A nice pool with lots of friendly neighbours. Good parking, short walk to the beach. We thoroughly enjoyed our 2 weeks at Spanish Cay D5. The condo is comfortably furnished, nice and quiet, has a lovely calming view from the porch, well lit bathrooms with attractive details, comfortable master bed and living room sofa. 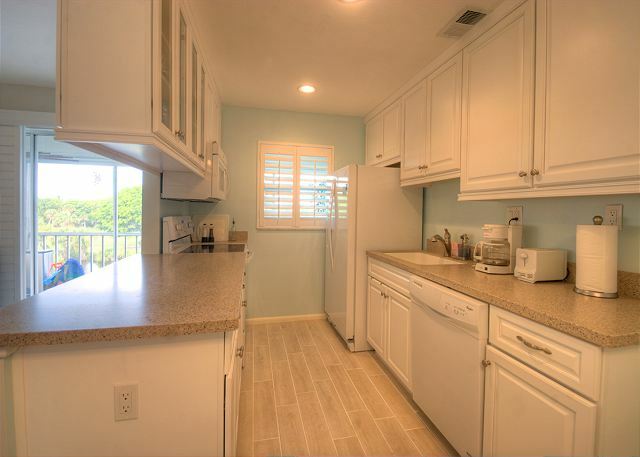 The kitchen is adequate, although it could use a few more glasses and mugs. SBL were easy to deal with and left us lovely welcome gifts to greet us upon arrival. My only suggestion to them might be to have a better lock on their night box and an outside light illuminating the lock. Sanibel gets really dark at night. The pool area was always pretty quiet and the residents we did meet were welcoming and friendly. We rented bikes and used them daily plus we did lots of walking. The walk to the beach from Spanish Cay is easy and the miles of bike trails on the island are great. We recommend this condo highly. 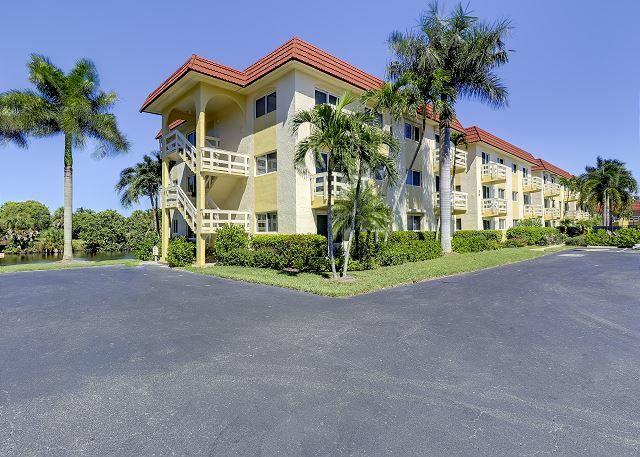 Spanish Cay is a very quiet friendly condo complex that is located 4 minutes from the beach. Every Thursday they have a happy hour for the residents as a meet and greet, which is very good for renters as the residents are very friendly. The pool is never busy like some of the bigger resorts. 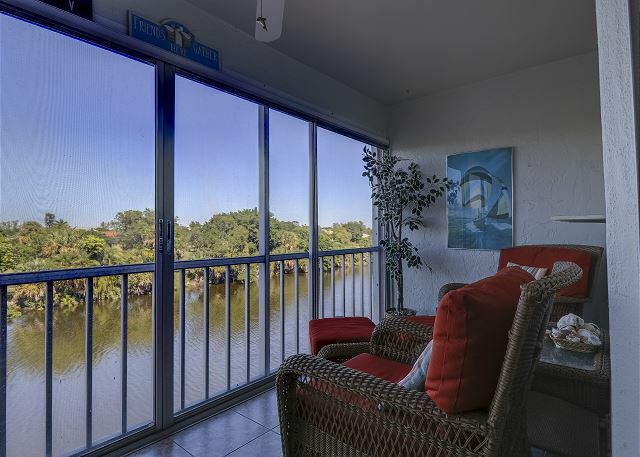 We think one of the biggest attractions is the lanai which overlooks the Sanibel River. One can view the alligators, cormorant fishing,snake birds, turtles, iguanas, pelicans diving and many other birds in their natural habitat while having coffee and meals. The beach access leads to a section of beach that is also quiet and not busy.Overall a perfect location to stay and enjoy Paradise. We have spent several vacations in a different Spanish Cay unit which we preferred, but is no longer available. We like to have a small dining table on the lanai and had to use a card table, alongside the two armchairs and ottomans. A bit crowded. This time we had problems with the microwave plug, missing tools in kitchen and light bulbs out. Paper supplies were inadequate. Sometimes it took more than a day sometimes to get help. This unit cost $400 more than our previous one, so I guess our previous owner spoiled us. The condo was in a very good condition (new furniture, also new kitchen with good equipment).The property was perfect for us. 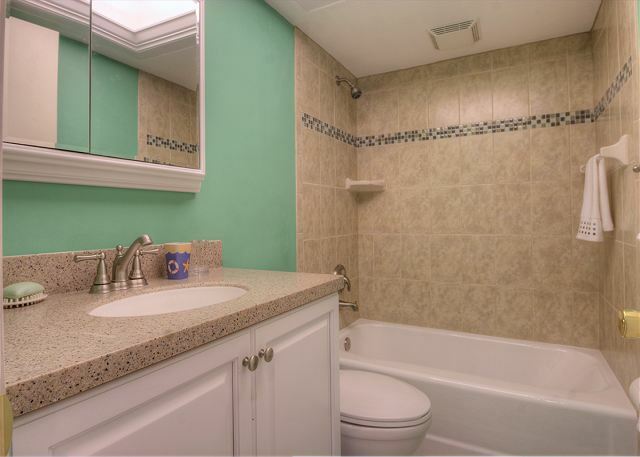 We were all very pleased with the looked like it had been recently updated...floors, bathrooms,kitchen and wall color very open and inviting. The island is a very welcome change. It is family friendly and peaceful. The beaches are beautiful and rich in history. We enjoyed reading about the history of the island where and why the name came to be. I enjoy the pride the store owners take in the shops as well as for the area in which they live and serve. This was our first stay on Sanibel in many years, had been staying on Captiva. Had a few reservations going from a private home to a condo and the different end of the island. However, we were extremely pleased. 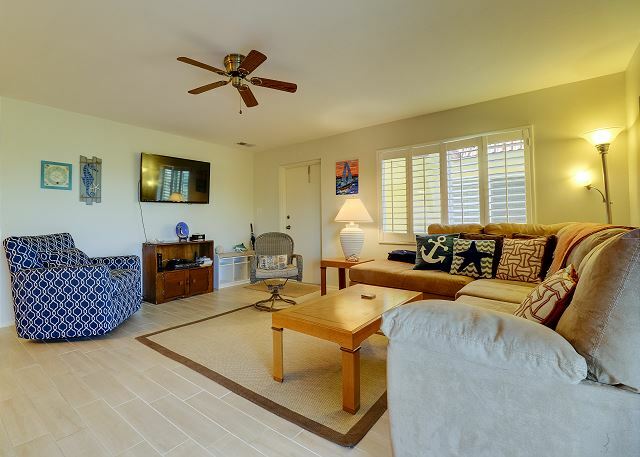 Wonderful location, very quiet and the condo itself was perfect for us, plenty of space, nice open kitchen, any kitchen equipment you might need, plenty of beach supplies, comfortable mattresses. Upon arrival we had staff waiting to welcome us and did a walk through so we had a opportunity to ask questions. Five star stay on a two star budget. 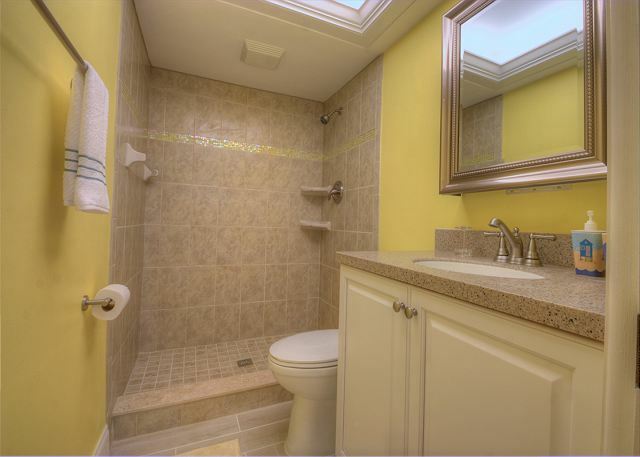 Very fine; condo interior and housekeeping was excellent.